Fiat’s hugely popular 500 city car was clearly inspired as much by the reborn BMW Mini as it was influenced by its own tiny, rear-engined, air-cooled, 1950s namesake. 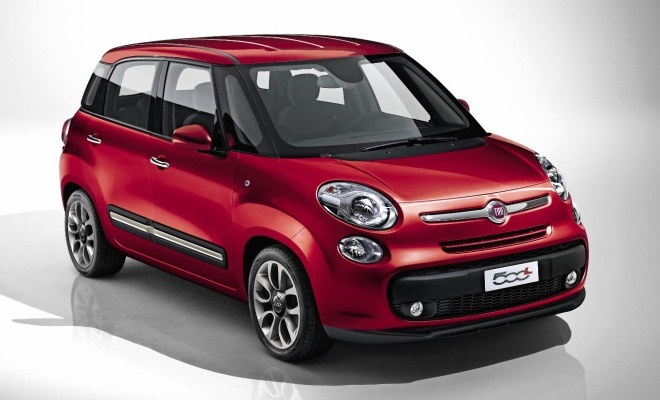 So it should come as no surprise that the Italian company is now chasing hot on the profitable heels of the fashionable Mini Countryman with its latest lifestyle offering, the 500L. With a surprising lack of marketing flimflam, the L stands for Large. And large the new car is, compared to the current 500 hatch, which will seat four adults as long as at least three of their legs travel separately. 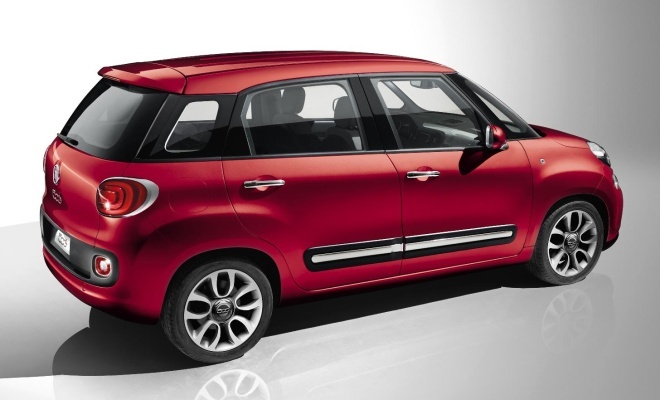 The new Fiat is a full five-seater measuring 414cm long, 178cm wide and 166cm from tarmac to rooftop. Pictures are deceptive, to my eye at least, suggesting that the 500L might be slightly more svelte than the Countryman, which can look a little over-inflated. The figures reveal that the Fiat is actually 4cm longer, 10cm taller, and just 1cm narrower than the big Mini. Fiat’s designers seem to have done a better job of stretching their car’s iconography than Mini’s team managed. Perhaps it’s no coincidence that Mini has appointed a new design boss since the Countryman was signed off. The 500L’s styling probably works better because it’s braver, sticking less slavishly to the template set by the smaller hatch. There’s little wonder that the Mini Countryman looks oversized when it follows so closely the cues laid down by a much smaller car. That said, the 500L does look quite a lot like a Countryman, particularly in the floating treatment of the roof, the glazed rear pillars, the downward kink at the rear of the roof, and the uninterrupted horizontal beltline that circles the car at the base of the glasshouse. There are also strong hints of Citroen C3 Picasso, rear lamps reminiscent of Mini’s Paceman concept, and finally a nose that is clearly related to the small 500’s cheeky face. Fiat namechecks its own 600 Multipla from the 1950s as an influence, but I can’t really see the resemblance. Perhaps I’m not squinting hard enough. The new car will go on display next month at the Geneva Motor Show, and will reach showrooms in the autumn. Diesel and petrol engines will be offered, including an edition propelled by Fiat’s thrifty two-cylinder TwinAir engine. Prices and official consumption figures remain to be announced. No doubt the pretty new Italian will undercut the more upmarket German/British alternative.